Cake shop Patisserie Park is located in Takatsu neighborhood in Kawasaki City, Kanagawa-ken. It is a five-minute walk from Takatsu station. 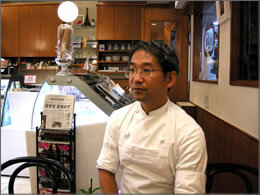 We had an opportunity to meet with the Managing Chef Mr. Tetsuhide Park. 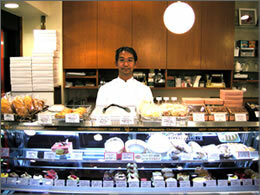 Mr. Park learned the basic skills of pâtissier during his apprenticeship under Mr. Masanori Yamato. He then trained for two years in France and Belgium to further his techniques in cake making. 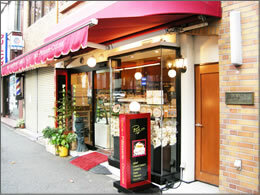 Once he returned to Japan, he became independent and opened his shop Patisserie Park in Takatsu. He is now the Managing Chef. What do you find important when making desserts? I put much emphasis on smooth texture. How something tastes is largely effected by temperature and texture. When a food is soft it seems sweeter for how much sugar it contains, yet amount of sugar can't be cut down to maintain richness. As a pâtissier I always strive to achieve the perfect balance of sweetness and softness. 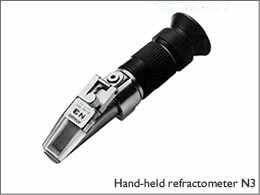 Why do you use refractometers? As a professional pâtissier, I value consistency. Because I have many employees producing our pastries, it's inevitable that subjectivity affects parts of the process. For example, we used to sample creams on our hands to assess its firmness, but we realized that everyone makes and assesses them a little differently. Therefore, we started using refractometers to give our products an objective value so that they all have consistent taste. Also, we use refractometers to balance out sweetness and texture. Because texture is so important to us, we use Brix to check evaporation and concentration to assess how firm the products will be. So you use refractometers to check texture? Sweetness is of course important, but taste and texture is so closely related to each other that it's really important to check firmness. Even if something is made using a same recipe, if it's too soft its sweetness is emphasized, making it taste too sugary. On the other hand, if it's too firm sweetness is less prominent. Using refractometers we've determined at what Brix value sweetness and texture balances out the best - we always take measurements to check firmness. What is the key when taking measurements? We make sure that all employees follow the same procedure when using refractometers. We all use refractometers here so it is important that everyone follows the same procedure for consistency. Result may vary if we don't all follow correct procedure. Providing customers with assured consistency is part of being a professional pâtissier, so I make sure every employee uses refractometers in the same correct manner for maximum accuracy. What else do you use refractometers for? I also use it when I am testing out new products. By experience I can, to a certain extent, make a good guess of what the finished product might taste like. Then I take good note of ingredients and Brix values, making adjustments and testing it each time until it reaches perfection. We had the opportunity to tour Mr. Park’s kitchen. He showed us how he makes “glaçage cacao” (coating chocolate). 1. 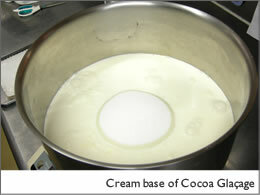 First, he combines heavy cream, milk, sugar, and thick starch syrup. At this point it is just a creamy white liquid. 2. After adding Cacao powder, put on stove and heat for 20-30 min. 3. Once it starts to boil, turn off the heat once, and measure its Brix, using a refractometer. Target is 68% Brix. 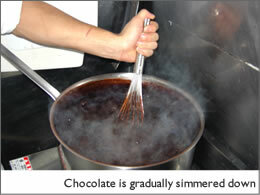 Repeat "simmer, stop, and measure" process until sample reaches 68% Brix. To measure, he places a small sample of chocolate on the prism and takes measurement immediately. He is very quick. First round the glaçage Brix was 63%, after another round it became 65%, gradually approaching the target value. 4. Once the glaçage reaches 68% Brix, it is transferred into a bowl and is cooled down with ice water. The glaçage is now complete. 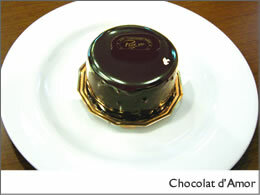 The completed glaçage is used to coat Chocolat d’Amor. 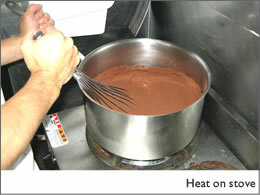 The firmness of the chocolate (in other words, Brix) affects the coating process and texture of the cake. 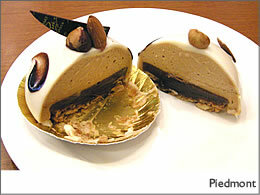 Another cake, Piedmont, also is tested by ATAGO refractometer. 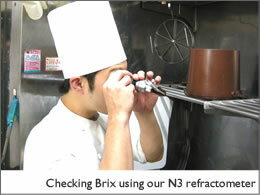 Our hand-held refractometer N3 is used to measure the caramel-chocolate that is inside the cake. 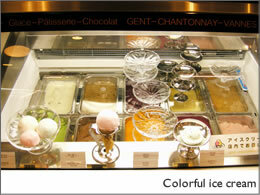 They also use our hand-held refractometer N-1a for their ice creams. As with the cakes, Brix is used to determine the firmness of ice cream. With this interview, we were able to witness the professionalism of Mr. Park, which was a very inspiring experience. He values customer service above all, and he works hard to consistently provide customers with delicious sweets. We were able to experience true professionalism. Testing Brix to check food texture – it was surprising to find that texture and taste is so interrelated. 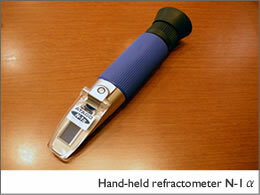 Indeed, there are many applications for refractometers. Mr. Park, thank you very much for your time and for the delicious cake.